Soft, easy-care finish with wrinkle resist, soil release and wickable finish. Two-piece, lined, banded, button-down collar. Seven-button front. One hemmed, spade-style pocket with triangular bartacks. Two-piece yoke. Box-pleated back. 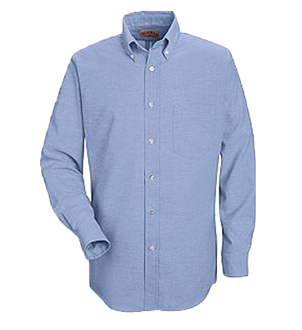 Tailored sleeve placket on long sleeve style.